Here’s what I covered at breakneck speed in my workshop at the most excellent event that was TeachMeet Clevedon. I must apologise to all those who came along as they won’t have realised the risk they were really taking by attending the workshop unless they’ve worked with me before. I really have no brakes when it comes to talking about learning, particularly when I’m running against the clock. We did go rather quickly. Sorry, but the pdf of the slides is below if it helps?!!! I’ve always been a bit bothered by the term ‘risk-taking’. The subjective nature of exactly what it is that we mean by taking any kind of risk is one thing, but the complexity of what exactly constitutes a risk is another. After all, for some, offering a response to a question in a lesson is the biggest risk a learner will take all term, whilst for others, standing up in front of a hall of 350 people and attempting to hold their attention for any given length of time will be an equivalent risk. 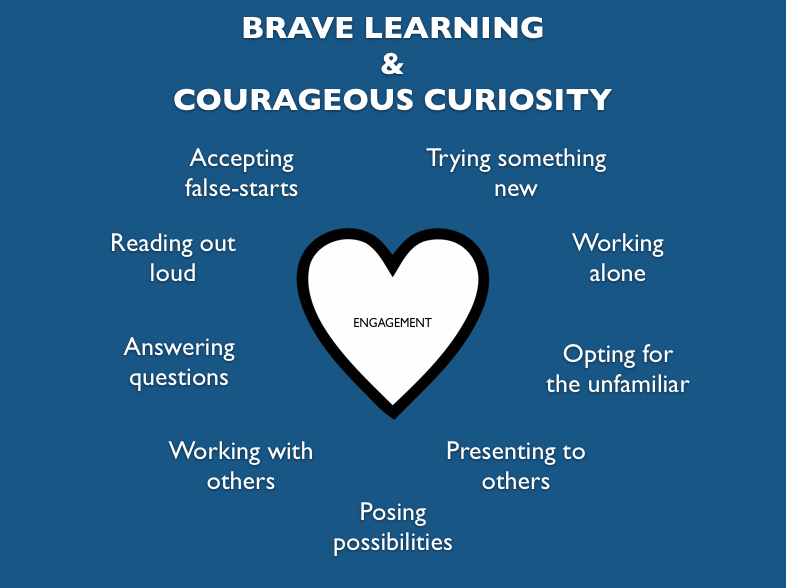 These are both demonstrations of courageous learning. So if we can identify exactly what enables them to happen, then we can deliberately design this into lessons to ensure all levels of risk taking behaviour becomes more frequent. 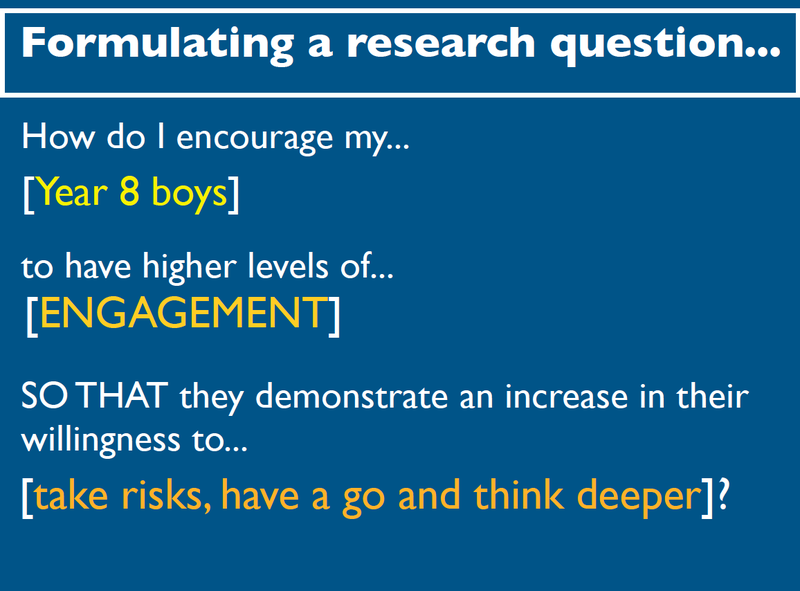 So when considering practical strategies that might encourage learners to adopt risk-behaviours (the outcomes we want to observe), we have an opportunity to explore and deliberately design the conditions that need to be in place (the input) that will encourage risk-taking learning-behaviours. It is here that we can direct our energy, our planning and interventions, to the very heart of learning design. What is ‘engagement’ and where does it come from, anyway? Learners are brilliant at picking up on teacher-speak. We will often hear and read what we consider to be highly self-aware comments from them such as, “I need to be more motivated in (subject)” or “I need to be more engaged in my (subject) lessons”. The thing is that it doesn’t always follow that learners share the same (or any) understanding of what this actually means*. *When asking a Year 8 pupil what they enjoyed about a lesson they had just had, they replied to me, “Miss always does plenaries.” As you can imagine, I was delighted with this response. When I asked what it was about these that they liked so much, they replied, “That’s the bit where we get to pack up.” I am sure I’ve written about this before, but it does a great job in demonstrating the gap between teacher-speak and learner-understanding. Taking the time to work out exactly what behaviours we want to see in practice so that these can, therefore, be deliberately encouraged, actively observed and frequently reflected back to learners will go some way to bridge the gap between what we say and what we expect to see. Not only that, it provides us with a lovely opportunity to instigate some top-notch learning conversations that will hand over the responsibility for learning to the learners. So if we can communicate exactly what we mean when we ask for more ‘motivation’, ‘independence’ and ‘engagement’ then we can deliberately design it into learning opportunities. Not only that but we can then ask learners to reflect on whether they think they are showing it (because they know what they should be doing to show it) and in this way, we can mutually celebrate it when it happens. By doing it like this, we ensured that the focus of the research was specific and connected the key concern or issue of engagement with the outcomes we wanted to observe. This question could have been taken even deeper by looking at a few selected learners in one group over a limited period of time such as 20 minutes over the course of x3 lessons but this sufficed for the purposes of the enquiry at this point. 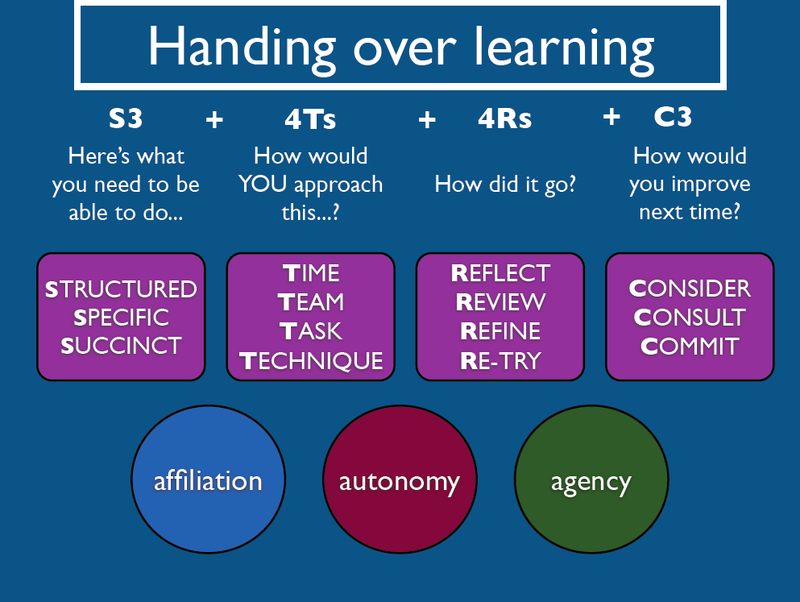 The S3 is explained in another post on the Marginal Learning Gains blog. As is the 4Ts here and in the book. The 4Rs are all about structuring reflective sessions so that they are meaningful and full of purpose. They come from breaking REFLECTION (another one of those big catch-all teaching terms) into some definite component parts. In doing this, we can select a specific element of reflection we want learners to practice. Learners are then clear about the expectations of what they need to actually do during a ‘reflection activity’ and, therefore, what ‘quality reflection’ looks like, i.e. the specific learning behaviours are being encouraged. This gives learners very specific things that they can do to get them to a point where they can make a commitment to the goals and targets that they have set for themselves. This entry was posted in Expert Pedagogue by fullonlearning. Bookmark the permalink.